Mr. Ryder brings more than 15 years of experience to the pursuit of complex personal injury matters, including claims arising out of medical malpractice, misdiagnosis, product liability, wrongful death, motor vehicle accidents, and construction and/or workplace accidents. Mr. Ryder is a graduate of the State of University of New York at Potsdam and Albany Law School of Union University, where he was inducted into the Order of the Barristers. He is listed in Upstate New York Super Lawyers®, a publication with membership limited to the top 5% of lawyers in each state, and is a lifetime member of the Million Dollar Advocates Forum®. Mr. Ryder is president-elect of the Board of Directors of the Onondaga County Bar Association, sits on the OCBA executive committee, and is co-chair of its trial lawyers section. In 2018, Mr. Ryder was appointed by the Presiding Justice of the New York State Supreme Court, Appellate Division, Fourth Department to serve as a member of the Grievance Committee of the Fifth Judicial District. The Grievance Committee for the Fifth Judicial District is responsible for the investigation, review and prosecution of complaints of attorney misconduct in Onondaga, Oneida, Oswego, Herkimer, Jefferson and Lewis Counties. Mr. Ryder has presented continuing legal education courses to members of the bar on tort-related topics, most recently speaking as part of panels for the New York State Academy of Trial Lawyers and the National Business Institute, and has guest lectured at SUNY Upstate on the topic of charting and risk management. Mr. Ryder has also been invited to serve on a Syracuse area focus group for The New York State Judicial Institute on Professionalism and the Law (JIPL). 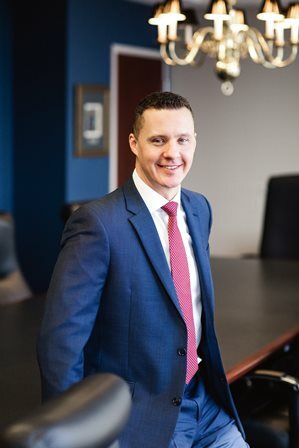 Prior to joining Bottar Law, PLLC, Mr. Ryder began his career as a litigation associate with the Syracuse office of Hiscock & Barclay, PLLC, and as a senior litigation associate with the Syracuse office of Bond, Schoeneck & King, PLLC. As an attorney with two of Central New York’s largest law firms, Mr. Ryder represented both plaintiffs and defendants in a wide array of complex legal matters, including business litigation and personal injury claims. Mr. Ryder was born and raised in Skaneateles, New York, and presently resides in Camillus, New York, with his family.